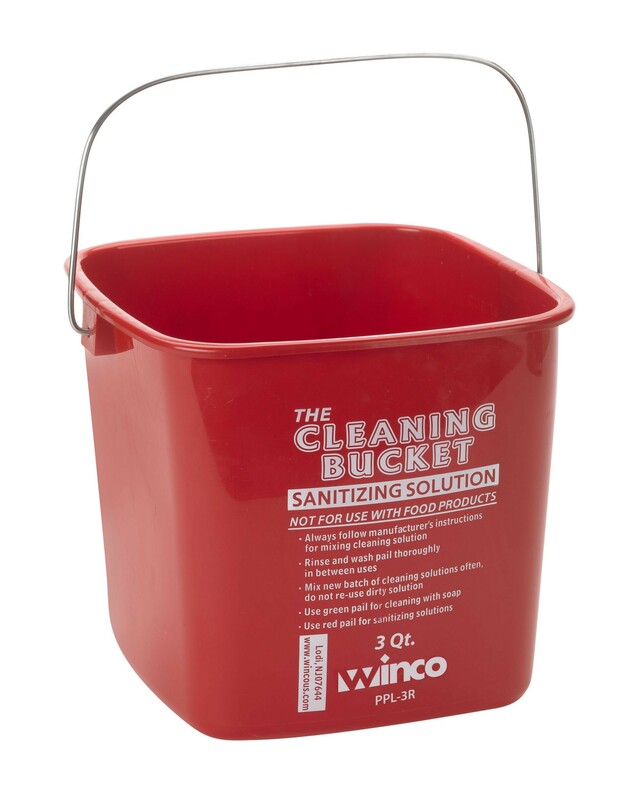 Keep your restaurant or hotel clean and sanitary with the Winco PPL-3R Cleaning Bucket 3 Qt. Red Sanitizing Solution. This pail has a bright red color that classifies it for use with sanitizing solution and thanks to its clear label it is easy to recognize. This cleaning bucket can hold up to 3 Qt. of solution and its metal handle offers a sturdy grip for easy transport. Constructed from durable plastic, it can handle heavy use without bending or cracking and is perfect for sanitizing cafeterias, restaurants and hotels. 6-1/2" x 5-1/2" x 5-9/10"